"With this whole world of technology and social media...you want to put your best face forward." PattyJ Tip: Selfies or those photos your friend took of you at dinner last week - that you filtered a few times via the Instagram App on your phone - are not going to cut it in the world of social media for business. Sorry/not sorry. Now, I've known Jenny since my retail days, but after talking with Stacey for only a few minutes, I felt as though I'd known her for ages as well. I felt instantly at ease. Comfortable. And that's the way you want to feel when you're having your picture taken professionally, right (because, for most of us, it an be intimidating to the max)? "I've seen people come in scared, go thru the process, then bloom like a flower and in the end, they're psyched, wanting to keep going..."
With makeup application by Jenny (approximately an hour from start to finish, especially important if you want an end result from the 'like you only better' or 'I woke up like this.' file), followed by at least 15 minutes with Stacey (She needs anywhere from 15 - 45 minutes to get those WOW! head shots...longer, if like me, you take some extra time to relax in front of the lens. ), you will soon be able to switch out those outdated pix (Be honest - Is your LinkedIn one current? Or from 3, 4, 5 years ago?) or selfies (No more explaining away or apologizing for those subpar pics of you that your co-workers and/or clients are seeing online.) for something you will love, love, LOVE. Seriously. • Speaking of food and drink, Stacey also does a lot of food shoots; in fact, she's responsible for many of the shots in the (new) Sept 2015 Cocktail Issue of Providence Monthly. 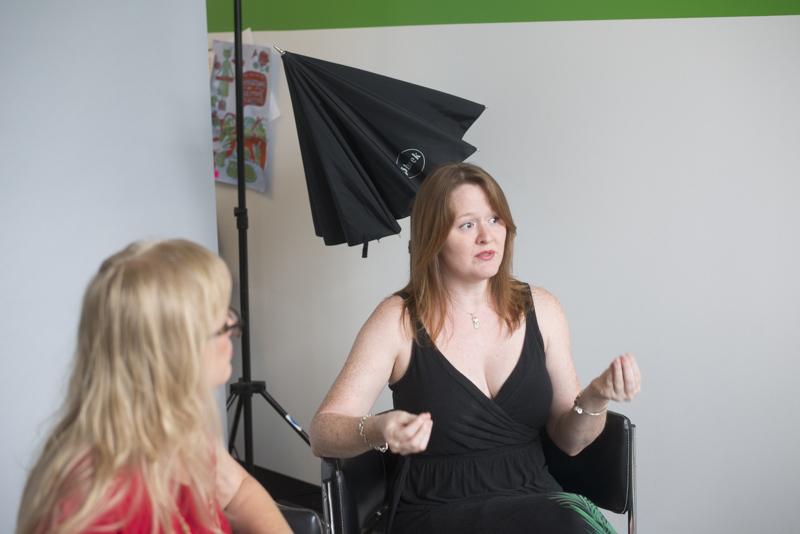 To find out more about booking time with Jenny and Stacey, click here. 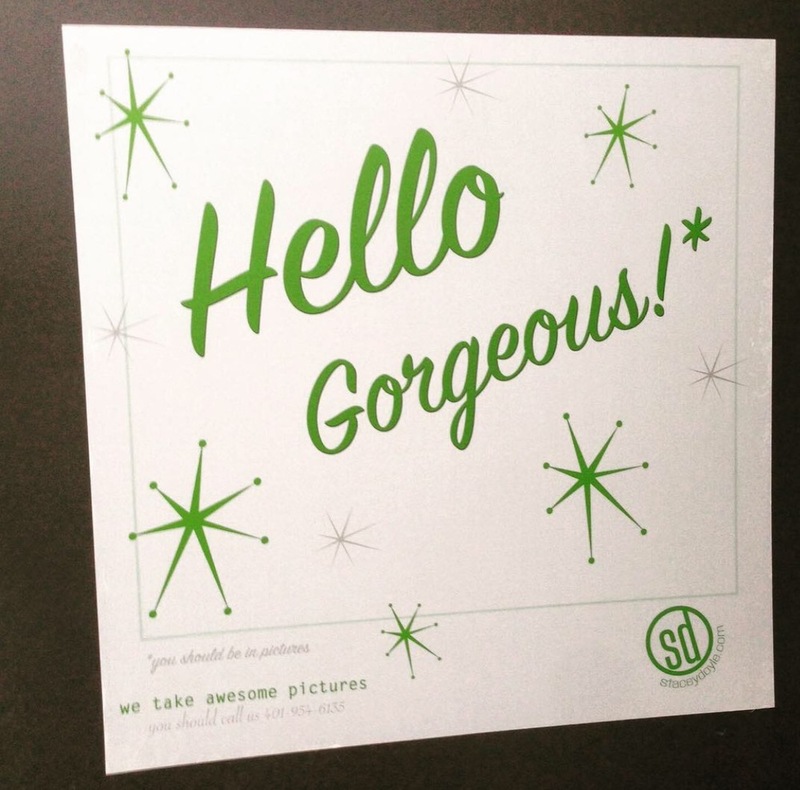 Photo Credits: All photos, except for the 'Hey Gorgeous' sign, are courtesy of Ashley Farney.